You may be able to sue the other driver for your damages. Whether or not you should consider suing the other driver depends on the circumstances of the accident. If the accident was a minor one and you had no injuries and little or no damage to your car, you may be able to work out a settlement directly with the other insurance company to cover your expenses. However, if there were injuries involved or if the damage to your vehicle was extensive, you may wish to speak with an attorney. Traffic lights can be notoriously dangerous. 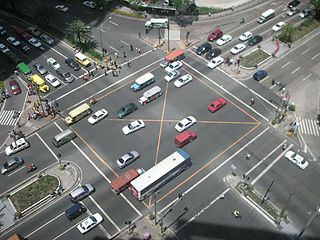 Any time that two or more roads come together at an intersection, there is naturally a larger chance of an accident occurring. Some experts say that close to half of all automobile accidents occur at intersections. Many of these accidents happen because one or both drivers involved made poor decisions before driving through. They may have been distracted while driving, have ignored the traffic lights, or not followed the applicable right-of-way laws. Houston is a very congested city, which can lead to high numbers of car accidents at intersections. Every victim of an accident that occurs at an intersection, whether the victim is a driver, bicyclist, passenger, or pedestrian deserves to receive compensation for his or her injuries and property damages. If you have been injured in an accident at a Houston intersection, call the Houston personal injury attorneys at Kennedy Hodges at 855-947-0707. We have experience in handling automobile accident cases, and we will work hard to get the best possible settlement for you. Call us today to learn more or to schedule a free consultation on your case.